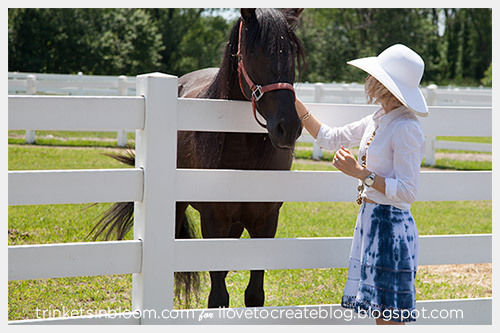 I just love the look of white for summer, combine it with a contrast of cobalt blue and you’ve got the recipe for chic summer style. 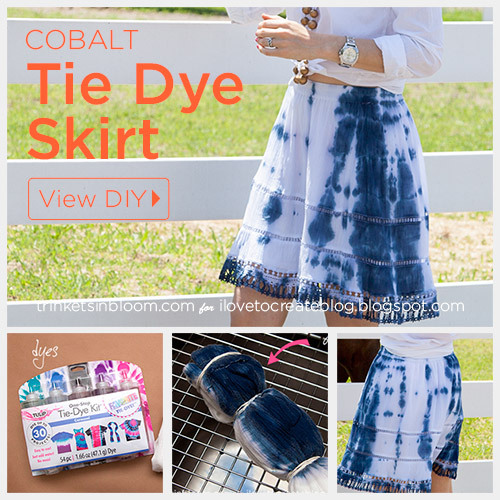 This Cobalt Tie Dye Skirt DIY is sure to become a summer wardrobe staple with it’s cool color combo and clean look. 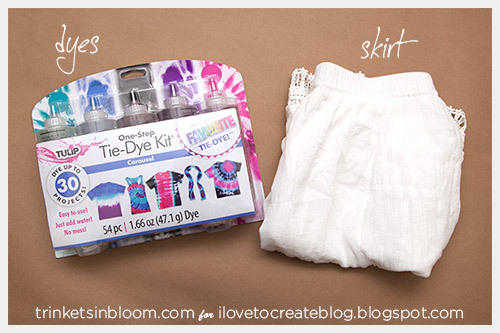 Tulip’s Tie Dye kits make it easy to create your own fun patterns and designs. 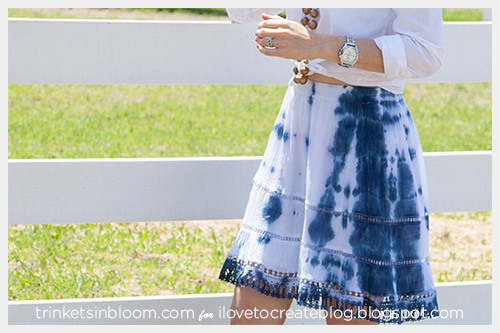 You’ll want to wash your skirt before dyeing it, don’t use fabric softener. 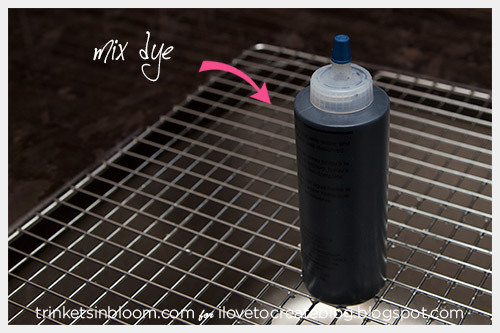 This will remove any sizing and prepare the fabric for the dye. 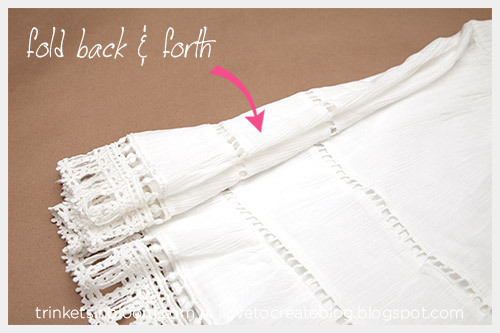 Lay your skirt out on a flat surface and start folding it into vertical pleats (accordion style) all the way across your skirt. 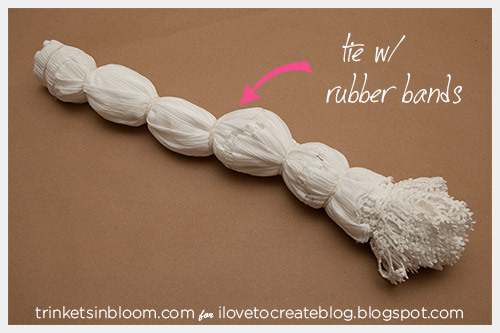 Using the rubber bands that come in the tie dye kit, secure your skirt in several places with the rubber bands. Get them as tight as you can. Be sure to wear gloves. I filled the bottle about halfway with water and shook it to mix up the dyes, before filling it completely with water. Shake again to mix. 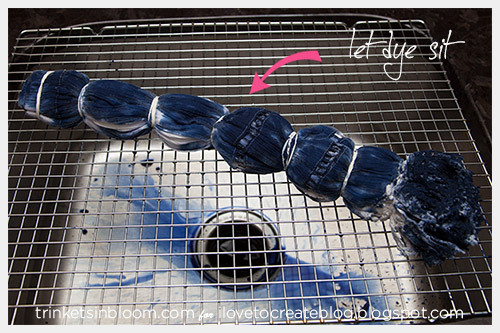 Prepare your area near a sink or outside for dyeing. 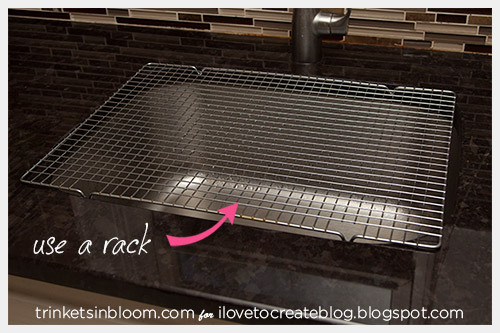 I use a bakers rack across my sink, this keeps my fabric from sitting in the dye. 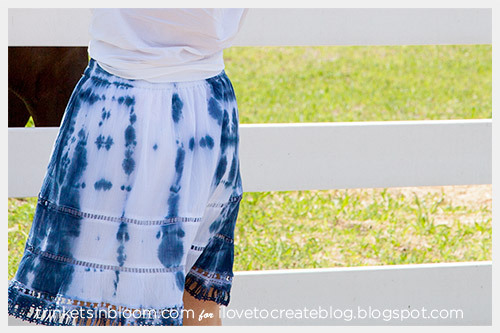 Add your dye to your skirt. Add a little at a time, as it sits it will soak into the fabric. This way you can see how much or little you need. 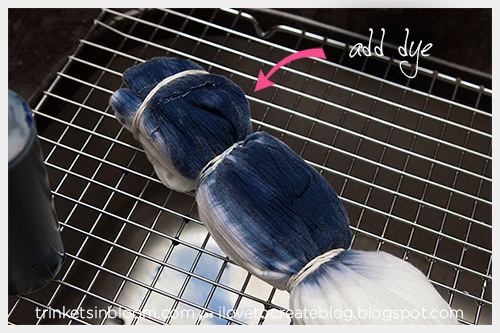 Once you’ve added all the dye you want, let it sit for about 8 hours. 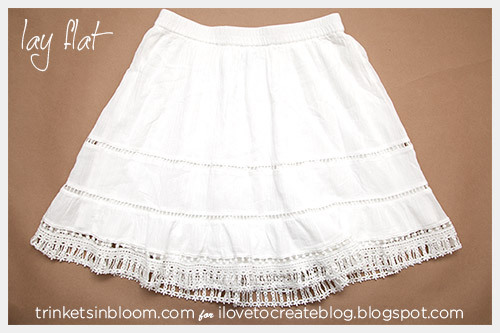 Rinse out your skirt with warm to hot water. Wash your skirt according to the instructions and line dry. Hi Cathy! 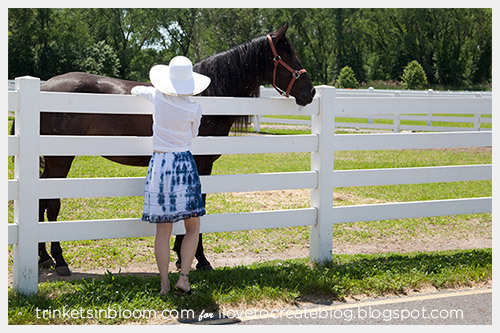 Where did you get YOUR skirt? Very cute, and love the colors! 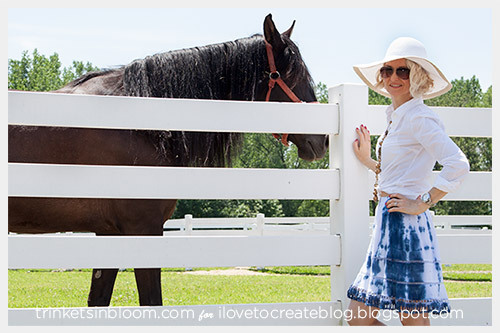 Love the skirt!!! Where did u buy it? I think indigo shiboi is the new black. I want to see it everywhere!! !